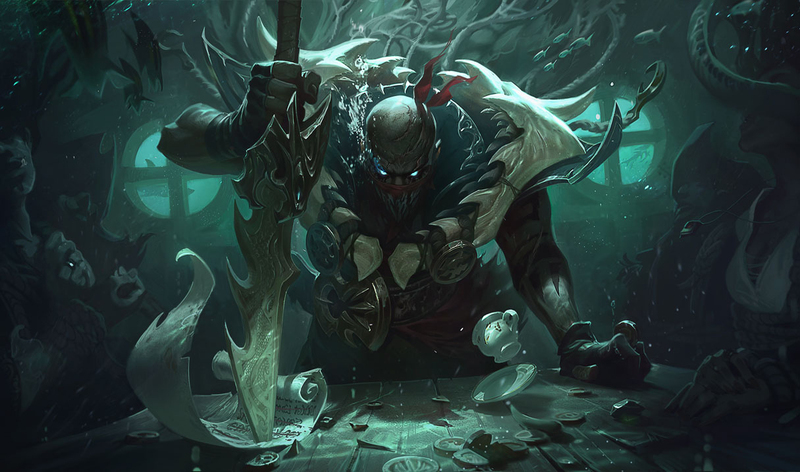 The recent state of League of Legends revolves heavily around the bottom lane and the ability of the Support being able to carry. With games being incredibly snowbally and games ending very fast, it is important that you start playing champions with a good early game that can apply pressure by winning lane. Applying pressure throughout the laning phase is key and in this Mobalytics guide by Picklepants, we will go into detail on some different ways you can apply pressure to win lane. There are many different forms of pressure in League of Legends and you need to use everything we suggest in this guide to your advantage in game. If you can successfully apply pressure, then you will see a range of benefits that include: winning lane, getting more kills, completing your warding quest earlier and dying less as a whole. There are two types of pressure in League of Legends. For this guide, we will use the terms “physical pressure” and “mental pressure”. Physical pressure is where you either deal damage to the enemy through auto attacks or ability usage, and mental pressure is where you do not necessarily deal damage but you put yourself in a position where you are forcing the enemy to play safer. Positioning in lane is crucial for your ADC to perform well. If you stand in the wrong place at the wrong time, you will be putting yourself at a disadvantage where you may be opening yourself up to extra damage from the enemies. You may also be putting your ADC in a position where they do not feel safe to farm which may cost them CS and experience. 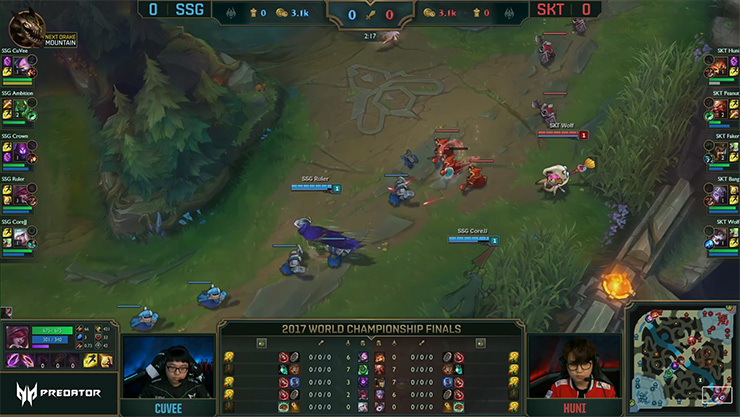 Tank Supports should be stood next to and slightly in front of their ADC. 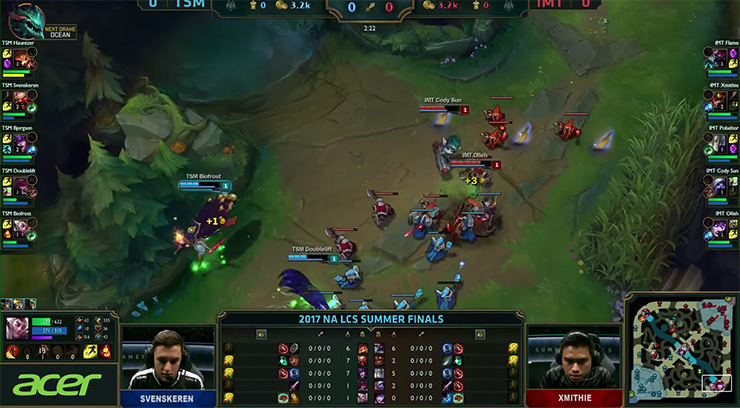 Most tank Supports are melee so you need to be in a position where you can follow up quickly if the enemy engages on your ADC. If you are stood far back or behind your ADC, then you will be no threat to the enemy. In this case, you would be applying no physical or mental pressure because the enemy will know that you cannot do anything to stop them. Bonus Tip: If you’re against a ranged Support, stick to the bushes and always stand in line with your ADC. Do not stand too far forward as you will be opening yourself up to free auto attack damage. Mage Supports should be stood next to their ADC at all time, but frequently pivoting around their ADC to use abilities. Because of the nature of a mage Support, you want to be always in a position where you can poke the enemies. This applies both forms of pressure as the enemy will have to either sacrifice CS to stay alive, or they will have to take damage to be able to farm. For utility Supports, you need to be next to the ADC or slightly behind. 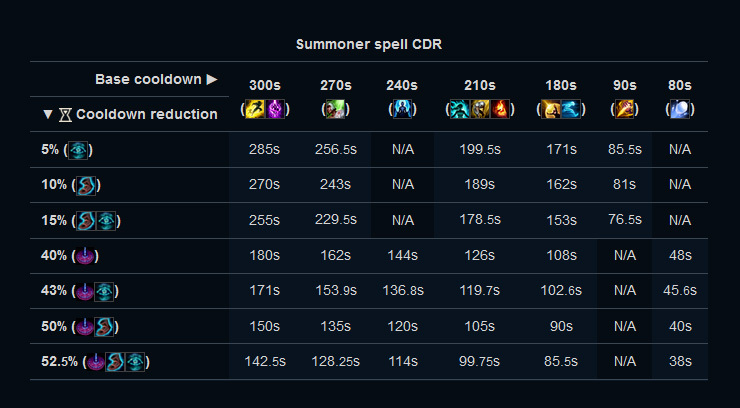 However, if the utility Support has gone for Spellthief’s, in order to get the item stacked quickly they will need to play more offensive by standing in front of the ADC to poke. As a utility Support, you will lack damage and be unable to trade effectively with the enemy. So it is important that you play safe and do not get caught out. In the current state of League, Utility Supports that do not purchase Spell Thief’s and instead, take Ancient Coin are not very strong which may make the laning phase quite difficult. You will also lack pressure in lane when taking Coin. As we can see, there are a range of different areas that you can stand when playing each type of Support. The main things to keep in mind while playing as the Support are that you need to be a threat to the enemy at all times- physically or mentally. If the enemy is under no pressure through the laning phase, then you’re not playing the Support role properly! Want to find out more? Click here. In League of Legends, having as much information as humanly possible is a great way to dictate the lane. One way of doing this is by tracking the enemies cooldowns. There are a range of things that you can track, and some are more useful than others. Tracking what you can in lane will allow you to apply more pressure in lane. 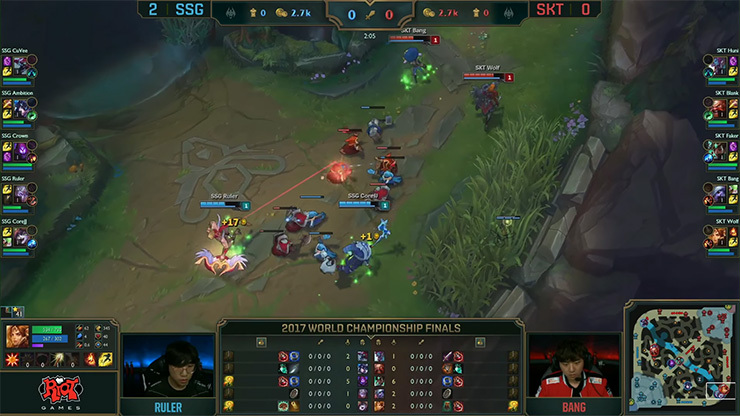 One thing you can track is the enemies Summoner spells. If you know what Summoner spells the enemy has or doesn’t have, then you can play around it. If the enemy is lacking in defensive Summoner spells like Heal or Barrier, you could play aggressive and go for kills during this time. This is a good time to apply pressure because the enemy will be unable to save themselves if you burst them down. You should definitely tell your team if the enemy is missing their Flash. They may be able to rotate and come to your lane and assist you in killing the enemy. This will also allow you to apply pressure to objectives. Another thing to track is the enemy using one of their core abilities. This is more related to the Support compared to the ADC because the Support usually uses their abilities more often to engage, deal damage or shield their ADC. If you know that the enemy has used one of their abilities then you can proceed to play slightly more aggressive while it’s still down. For example, if the enemy wastes a shield, you could go for a trade during this time as the enemy will not be able to shield themselves or the AD- which will allow you to come out ahead of the trade. Another example would be if you’re against Blitzcrank or Thresh. If they waste their hook, then for 10-or-so seconds, you can play slightly more aggressive. You can either play aggressive by poking them or by walking up closer to them in lane. This is especially good against Blitzcrank because he is melee. If you’re ranged against Blitzcrank, then you can just walk up and start auto attacking him without fear of him grabbing you. Another time to poke or apply pressure to the enemy is while they are in auto-attacking animation. During this time, they will be unable to auto attack you, which will allow you to get your damage off and able to retreat without taking damage from the enemy ADC. However, the Support may still be able to damage you. Vision is super important as a whole. It can help you in knowing where the enemy is, prevent ganks and also give your team information. However, this works both ways. If the enemy places wards, they can give their team information about your team. One way of applying pressure is by denying the enemy vision and leaving them in the dark. If the enemy doesn’t know where your team is, then you can pick up kills and set up ganks for your team. Knowledge is incredibly strong and not knowing what is happening is very daunting to experience. Personally, I like to know whatever is going to happen and when, so having no vision is horrible to experience and one way of mentally pressuring the enemy. You can deny vision in a variety of ways. The first and most obvious is by clearing wards by using your Trinket and Control Wards. The second is by using your pings and communicating with your team. Telling them to avoid certain parts of the lane or to divert and take a different route will allow you to manipulate the enemy into thinking that they’re safe. This is one way of playing League of Legends armageddon. Wave management as a Support is not necessarily wave management like other laners. If you’re ahead in lane, you have a few things that you can do to still have some pressure in lane and be a threat to the enemy. Traditionally, you may want to freeze the wave to prevent the enemy from playing aggressive and killing you. That is the main thing that people associate freezing with. In fact, there are two things that freezing can achieve, like stated, it can prevent the enemy from playing aggressive, but it can also be used to deny the enemy farm and CS. If you’re ahead and playing a champion that can hard engage or poke the enemy, you can put yourself in between the minions and the enemy. Being the bodyguard for the wave will allow you to push the enemy off and out of lane to allow your ADC to farm. This is a good way of applying pressure to the enemy as they will have to back off and respect you or they may get combo’d. Roaming is a very good way of getting a global advantage over the enemy. It can also be a good way of helping laners that are having a hard time. Roaming works both ways, if you can roam and apply pressure to the enemy, you can get kills. However in this guide, we will talk about a different type of roaming- more precisely, what to do if the enemy roams. If you know that the enemy has gone to roam (or ward) you can apply pressure on the enemy ADC in a number of ways. Each has its benefits and their drawbacks, and you may be unable to do all these methods on every champion. One way is to deny the enemy farm by freezing. This can be good because your ADC will be able to farm without fear of being killed. What you do while your ADC is freezing though is incredibly important. As stated previously, you can put yourself in between the enemy and the wave and act as a bodyguard to the minions. This is especially effective if you’re playing a hard engage champion like Alistar and have an ADC that can follow up. Alternatively, if you’re playing a champion that doesn’t necessarily have hard engage, you can wait it out and wait for the enemy to overextend or greed before poking them down. If you hide in the bushes without being spotted- this makes this technique work better. In this example, we can see that the enemy ADC did not respect Fiddlesticks all in potential and subsequently, he paid the price for not respecting me. I waited for the right moment for his Support to be out of position and out of sight. This meant that we could pick up an easy kill. Thanks for reading! let us know if you’d like to see more topics related to applying pressure. As always, you can find Picklepants in our Discord if you have any questions, and feel free to leave us a comment or suggestion below.